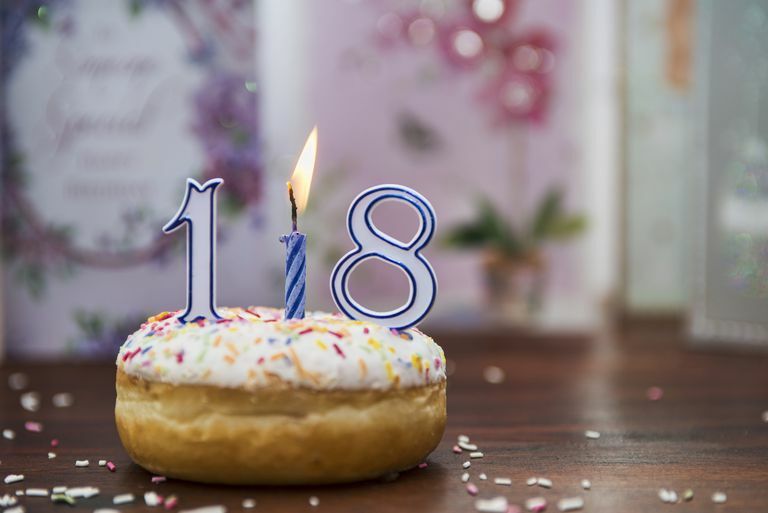 While your teen is busy blowing out birthday candles and contemplating his new adult status, take a moment to find out the sometimes unexpected ways the law and your child's 18th birthday may affect you. Consider these effects on the parents of a child who has turned into an 18-year-old adult. Want to discuss your 18-year-old’s health, possible sexual activity or substance abuse with his doctor or campus health services? No can do. When your child turns 18, you are no longer considered his legal representative. Under the federal Health Information Portability and Accountability Act or HIPAA, your teen’s health records are between him and his health care provider. Under the 2010 U.S. health reform act, young adults can be covered by family health insurance policies through age 26. Be sure to check with your insurance agent or click here for three ways to get health coverage for your not-yet-employed child. Want to discuss your child’s credit card balance or financial account status with his college or bank? His finances are as private as yours. You may still have access to any joint accounts you’ve set up with him, but no college purser or bank officer will break confidentiality laws for your teen’s private accounts. Similarly, your child’s relationship with professors and college administrators is also private. Paying your child’s college tuition does not give you access to his grades. And finally, your job has changed dramatically, from 24/7 parenting to advisor. Need a good place to start? Sit down and discuss your teen’s new legal status with him.